Understorey palm. Stems clustered, 2.5-3 m tall, ca. 5 cm in diameter. Leaf axis with scattered, long, yellow spines; petiole ca. 1 m long; blade 175-200 cm long; pinnae 50-60 on each side, inserted in groups and spreading in different planes, the central ones 50-75 cm long and 3-6 cm wide, with asymetrical apex ending in a long tail. Inflorescence 25-50 cm long; branches ca. 25 branches, 10-12 cm long. Female flowers scattered along the branches. Fruits red to brownish red, rough, obovoid, flattened at top, strongly rostrate, 2-3 cm in diameter; fruiting perianth with calyx ca. as long as the corolla; staminodial ring absent. 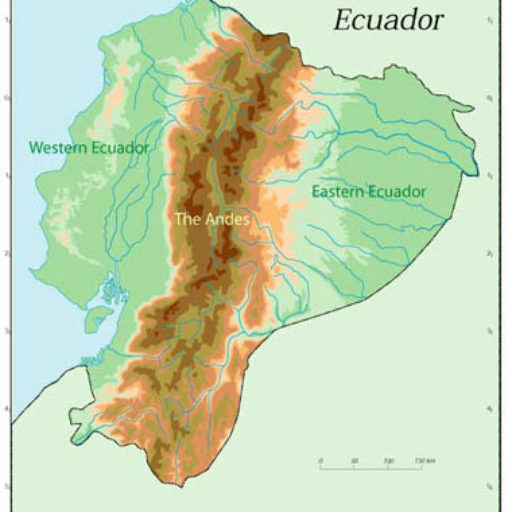 Disjunct between Panamá-NW Colombia, W Ecuador, and E Ecuador-NE Peru (Dept. 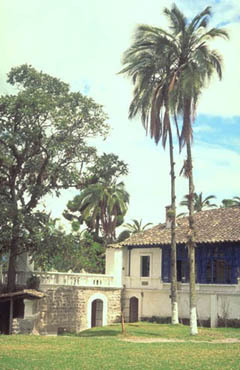 Amazonas). 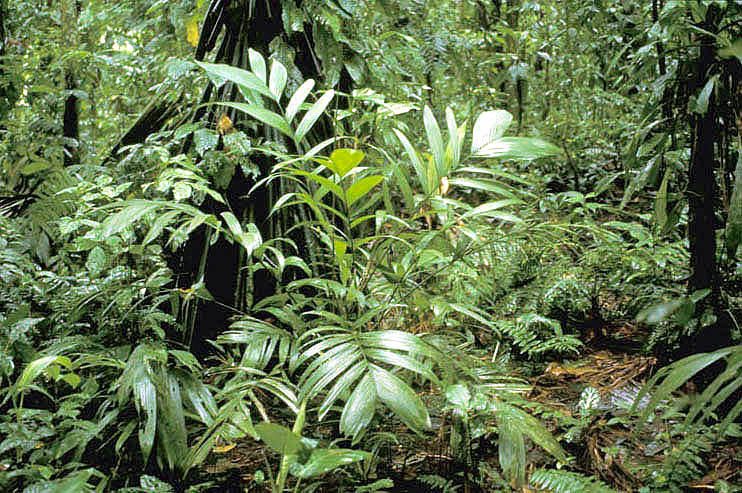 In Ecuador it is known only from a few localities in tropical dry forest around the Jauneche forest reserve SW of Babahoyo, and from a single collection in the E lowlands.